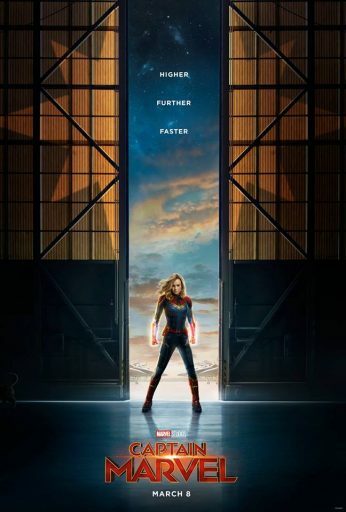 Home » Movies » Happy Birthday Brie Larson! Written by: JediJondee46 on October 1, 2018. Happy Birthday Brie Larson! She has had a career in tv with the series role playing the daughter, Emily, in the sitcom Raising Dad (2001-2002). Brie played Courtney Enders in the popular Disney channel movie Right on Track (2003). She had a brief role in the comedy 13 Going on 30 (2004). Brie is also a musician and released her album Finally Out of P.E. in 2005. She played Krista Eisenberg on the Ghost Whisperer episode, “Slam” (2008). Next, Brie played Kate Gregson, in United States of Tara (2009-2011). Brie played Envy Adams, the lead singer of the band The Clash at Demonhead, in the brilliant Scott Pilgrim vs. the World (2010) directed by Edgar Wright. She played high school student, Molly Tracey, in the comedy 21 Jump Street (2012). She was on everyone’s radar for Room (2015). The drama based on the novel by Emma Donoghue was directed by Lenny Abrahamson. She played Joy Newsome who was held captive for seven years and protects her young son played by Jacob Tremblay so they can escape. Brie won the Academy Award for Best Actress for the film. Next, she was in a genre film playing a photographer in Kong: Skull Island, (2017). Her lead role as Carol Danvers in Captain Marvel is set to open on March 8, 2019. Happy Birthday Brie Larson!